Human-animal conflicts are rampant in Indonesia, especially in areas where the clearing of rainforest to make way for palm oil plantations is destroying animals' habitats and bringing them into closer contact with humans. 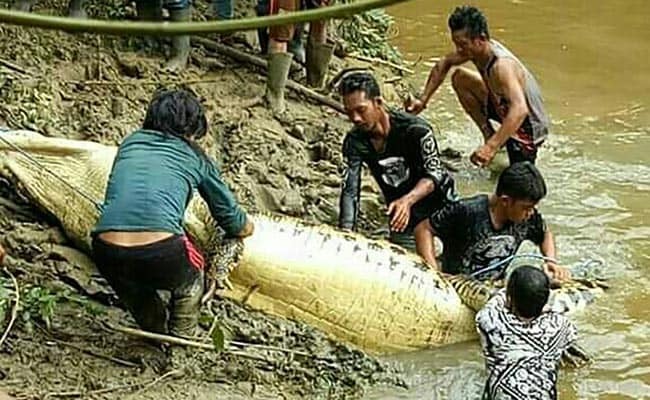 A human leg and arm have been found inside the belly of a huge crocodile suspected of mauling a man to death in Borneo, Indonesian police said Friday. 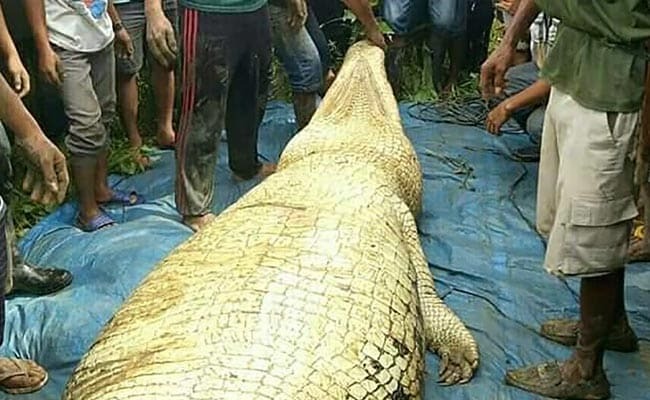 Authorities shot and killed the six-metre (20-foot) long crocodile close to a riverbank where a local palm oil plantation worker had gone missing two days earlier, with only his motorbike and sandals found at the site, they said. The search ended Thursday when 36-year-old Andi Aso Erang's lifeless body -- missing two limbs -- was discovered floating in a different part of the river in Kalimantan, the Indonesian part of Borneo. The crocodile is suspected of mauling a man to death in Kalimantan, the Indonesian part of Borneo which is shared with Malaysia.